On Friday January 19th, the Government had its first shutdown since 2013. This shutdown occurred because President Trump and Congress were unable to agree on a temporary spending plan to keep the government open. According to Blogs.edweek.org. not only does this shutdown affect government workers, it also affects K-12 Public Schools. A short term shutdown will not affect most school districts. 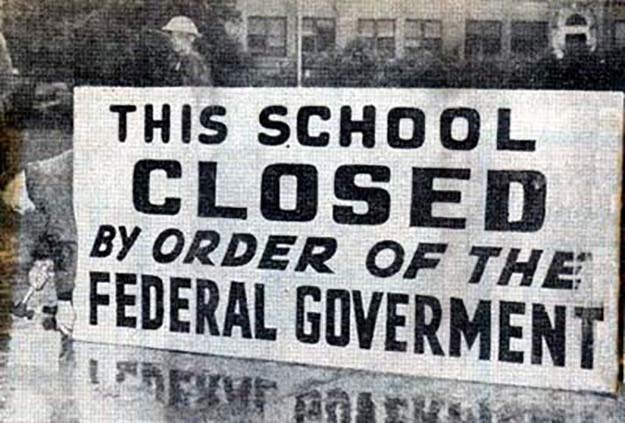 However if this shut down had turned into a longer one, it would have caused problems for the School Districts. The shutdown does not affect the K-12 school districts directly but it does affect programs that are in place to help fund schools. It also affects the Head Start program. The Head Start Program is a program that provides early childhood education, and parent involvement services to low-income children and their families. Though with the shutdown in place, the program will not be affected unless the shutdown ends before the beginning of February. If the shutdown does go into February the program will not be funded any money. Fortunately, the shut down was resolved on the 22nd, when President Trump signed a bill funding the government until February 8th. What the shutdown could have affected at Valley Heights was the release of Federal Funds for one of the Grants we receive. The Mental Health Grant funded through the “Health Resources and Services Administration” (HRSA) pays for our Social Worker salary. "This could have had a very negative impact on the services Ms. Stillwell has provided for our students and their families. If we do not have the funds to pay her salary this could impact our ability to provide those services in the future” said Superintendent John Bergkamp. If Congress and the President hadn't come up with a compromise on the spending plan, it still may not be the end of the shutdown. Even though the two agreed on a temporary plan, we could still end up right back where we started.